We fight for your rights. We fight to get just compensation for your injuries and inconvenience. Do you have a personal injury case? Are you trying to fight the insurance companies on your own? LET US HELP YOU GET THE COMPENSATION YOU DESERVE! Wilkerson LPA fights for your rights. Too many times the victim is taken advantage of by the system, whereby the innocent party is made to suffer when the accident was not his/her fault. Relentlessly fighting for what you deserve, we go battle for your case, advocating for the compensation that you deserve. 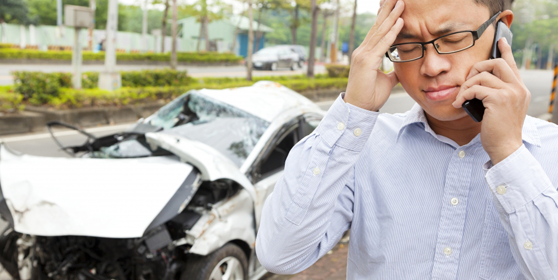 We've handled scores of personal injury cases. Here at Wilkerson LPA, we offer more than legal advice; we provide a partnership that values our clients’ need to have a proactive approach toward guarding their interests. Backed by many years of experience working with insurance companies, our team of highly-qualified attorneys is composed of individuals with specialized backgrounds enhancing our skills and increasing our meticulous attention to detail. Our team of experienced attorneys provides creative and strategic leadership for successful solutions. Working for you, not the insurance companies, our legal team defends our clients’ rights. If you are injured due to the negligence of someone else, our lawyers will help you get what you deserve. Client satisfaction is our top priority. We believe that in order to achieve our goal, every client deserves individualized attention and representation. Fighting for your rights and helping you obtain a fair compensation for injury, we work for you and your family to get you back on the path towards recovery. Ernest Wilkerson, Jr. is the managing partner of Wilkerson LPA. 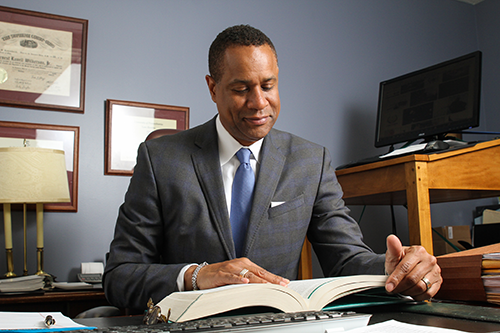 He completed his BA at Northwestern and earned his Juris Doctorate degree from University of Pennsylvania Law School. It was here where he also served as was an editor of the Law Review. He started Wilkerson for the People in Cleveland when he chose to quit working for the insurance companies and to start working for the people. Due to this background, Mr. Wilkerson is uniquely qualified to analyze complex legal matters, identify contentious issues and provide reasonable solutions. Many of our professionals have experience as editors of legal publications or leaders of litigation teams. This specialized background has sharpened our knowledge, enhanced our teams’ leadership skills and increased our meticulous attention to detail. We can fully and energetically meet any of our client’s needs because of our unique qualities and broad range of abilities. Our team of lawyers would love to help you today. © 2017 Wilkerson For The People. Do Not Copy.